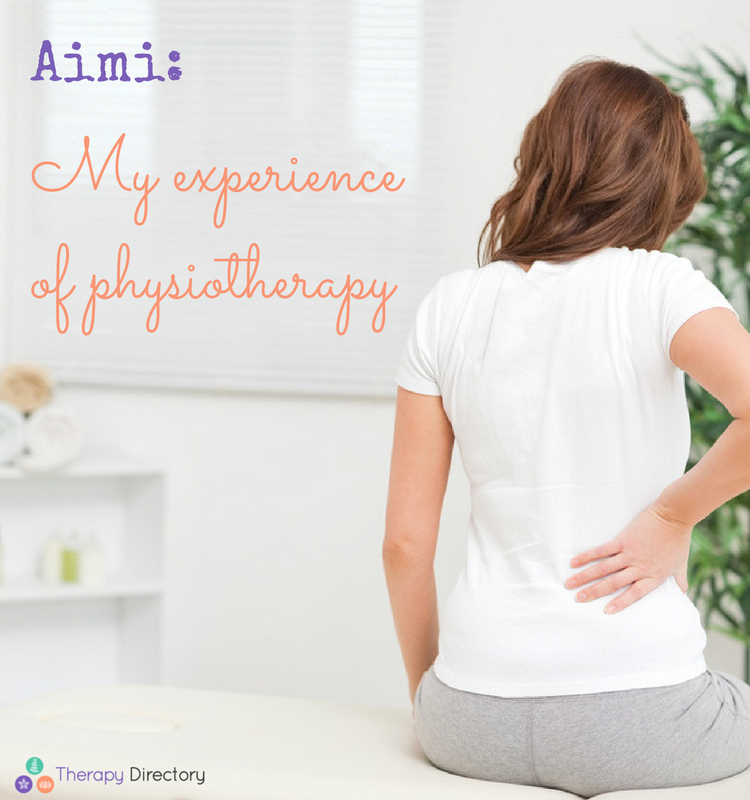 Therapy Directory co-founder Aimi shares how physiotherapy helped improve her back pain. But my doctor was actually very unhelpful. She said it was normal that, after two children, I would have back problems and that I should join a pilates class – thanks very much! 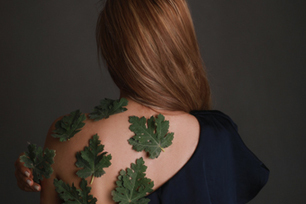 I decided I would find a private physiotherapist as my doctor wouldn’t refer me. 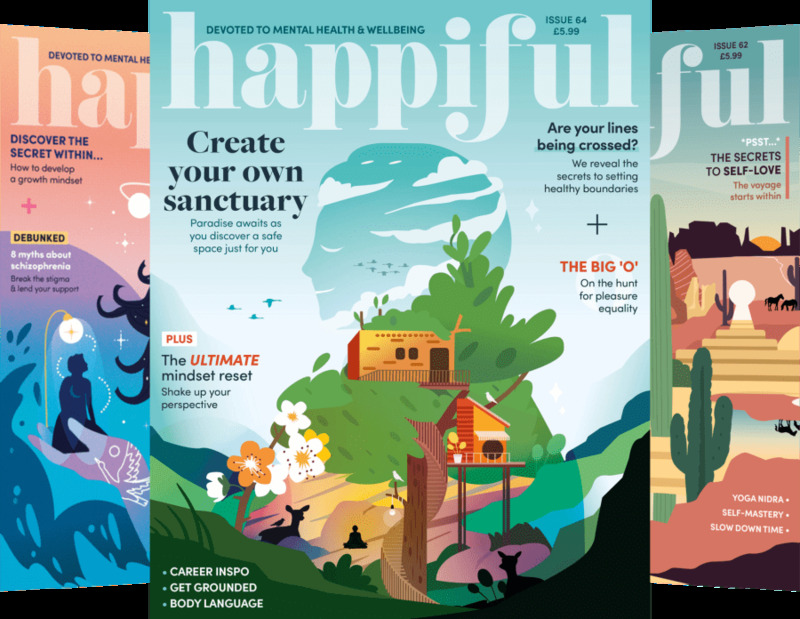 I remember feeling a bit nervous before my first session as I was still very much in pain – so much so that I even struggled to sit still in the waiting room chair. My therapist was called Natalie and she was really helpful, I felt immediately that she would be able to help me. 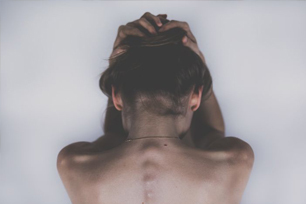 She examined my spine and felt all around my muscle groups then she asked me to try a series of simple exercises – but, as my pain was so severe, I couldn’t do them. So she put together a program for me to do at home to help me strengthen the areas I was struggling with. Physiotherapy tends to be a combination of ‘hands-on’ care carried out by a physiotherapist, exercise prescription and self-management techniques – which you can continue, long after sessions are over. I saw Natalie four times. Each time she asked me to show her the exercises I had been practising at home (it only took about two minutes per day). Each time I had improved, so she would tailor the movements to make them slightly harder. 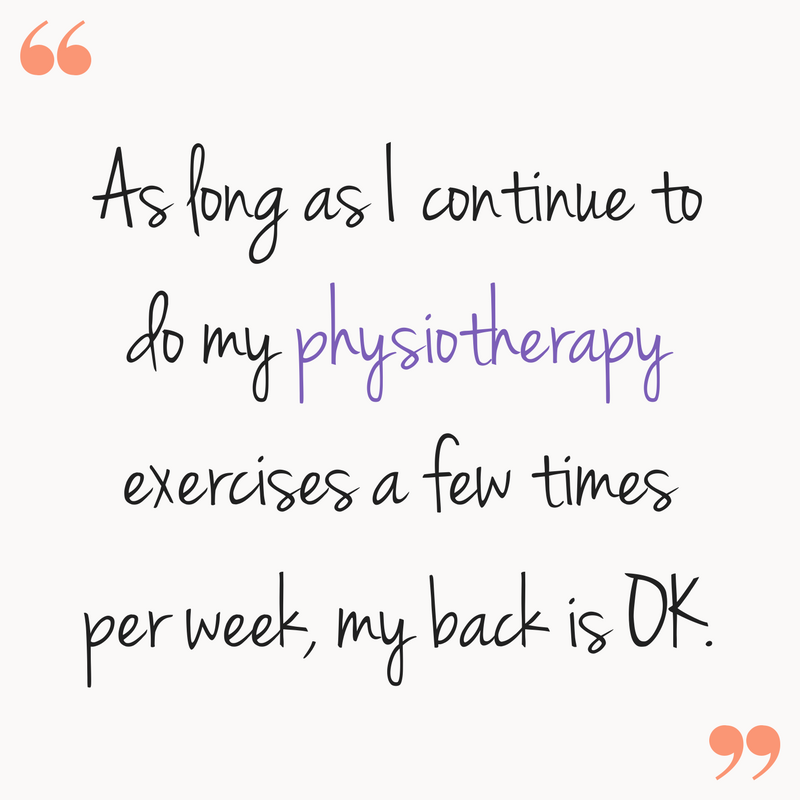 Even now, as long as I continue to do my physiotherapy exercises a few times per week, my back is OK. I would definitely recommend physiotherapy and would go back again if I had pain in other areas of my body. You can find a physiotherapist near you using our search tool.